Here at Genin Evolution, we do not ban or restrict canon techniques that are too popular or powerful. Why? Because if powerful techniques didn't exist, powerful shinobi wouldn't exist. Everything in canon is allowed, with a few obvious exceptions, though it will all be watched closely. You will need to either create and develop a technique over time if you want to be the creator of it, or learn it from someone else. If you do have a powerful technique, it will be monitored, and if we find you abusing it in any way, it will be stripped from you. This applies to certain clans as well. 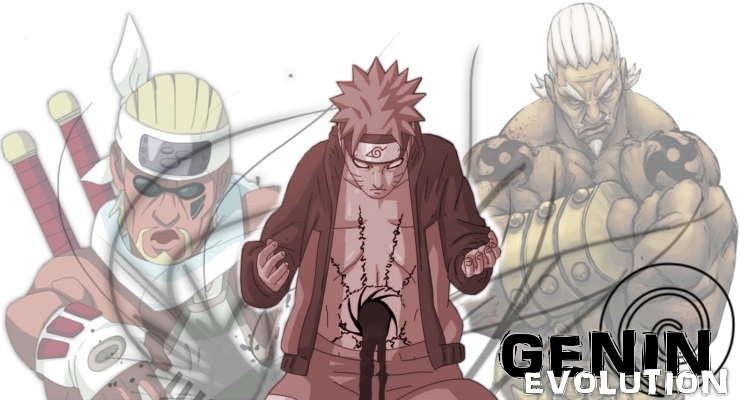 As the more powerful and popular canon techniques (that were originally limited to the single shinobi that created it) are registered by Jounin or Village rulers, or eventually created in character by Genin, they will be added here so that others know not to try to be the first to make it. This applies to canon techniques of great power, unique canon bloodline limits, the status' of canon clan leaders, etc. As for the "Prodigy" of a clan who proves to be naturally express more skill than others of the clan, such as Neji of the Hyuga, or Itachi of the Uchiha, only one such status will be allowed per clan, and only for Genin.